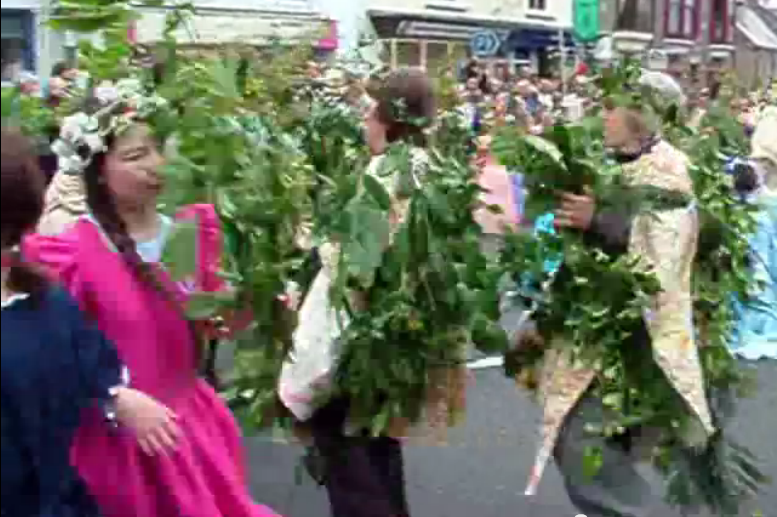 People dressed as shrubs danced yesterday in Helston, Cornwall, UK. 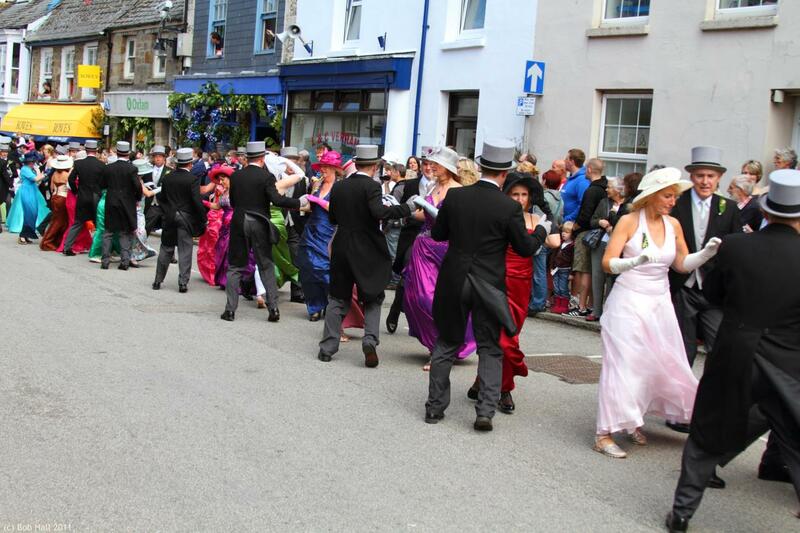 Others dressed in old-time finery danced in a line so long you couldn’t see either end. 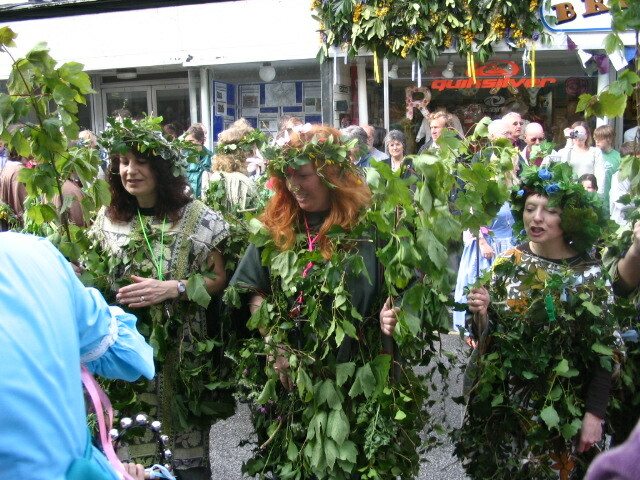 They celebrated Flora Day, an old spring tradition also called the Furry Dance (named long before furries). Each verse brings a costumed pantomime. This Hal-An-Tow video starts with shouting and noise, then at 1:35 comes a Cornish proclamation that sounds like Swedish Chef, followed by the dancing shrubs, song, and weird pageantry. The great processional dance features kids (in one dance) and adults (in the other two) walking in pairs in a tremendous line and periodically doing a little dance that puts them with a new partner. The children’s dance alone has 1,000 people in it. 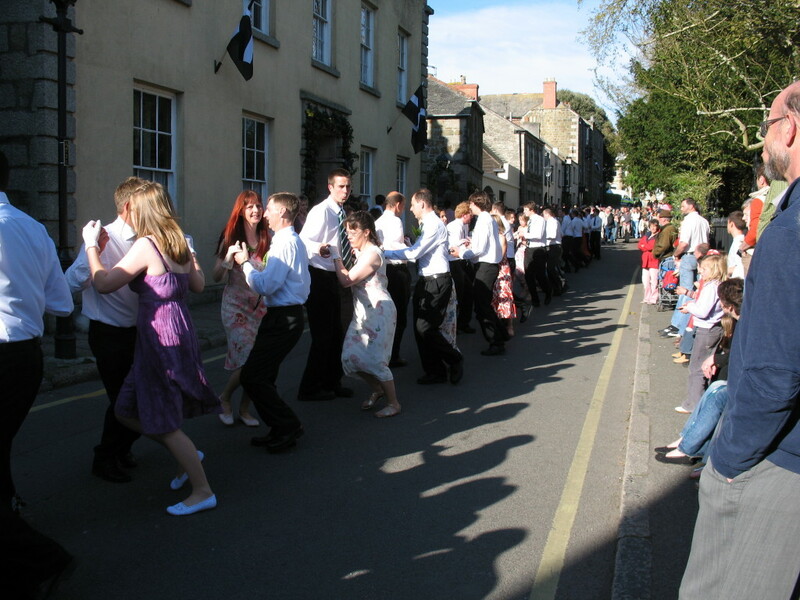 See for example the 2014 midday dance, 2011 children’s dance, … and footage from 1955 … and 1921. The banner at the start of this other Flora video shows that I didn’t make up the name of the Furry Dance (I kind of thought it was vandalism on Wikipedia’s Flora Day article until I saw the video). I’d love to see it in person someday. I’d love have something like it here!